Shares of Netflix, Inc. (NASDAQ:NFLX) popped 25% on strong first quarter results. But long-time bear Michael Pachter points out three holes in the bull thesis. Netflix, Inc. (NASDAQ:NFLX)’s bet on original programming seems to be paying off. During the first quarter House of Cards drove more than 2 million new U.S. streaming subscribers, topping management’s guidance. But Pachter warns that original content is stealing from future subscriber growth. Netflix is going to be challenged to grow in the back half of the year because their exclusive content is less compelling. Falling subscriber growth could be a negative catalyst in upcoming quarters. In some ways the effects of Netflix, Inc. (NASDAQ:NFLX)’s original content initiative resembles America’s Cash for Clunkers program in 2009. The stimulus measure did little to change the total demand for vehicles but only stole from future consumption. In Netflix’s first quarter results, revenue increased $49 million quarter-over-quarter while content costs increased by only $16 million. In Pachter’s view that’s unsustainable. To compete, Netflix, Inc. (NASDAQ:NFLX) has to offer compelling content, of which prices are soaring. 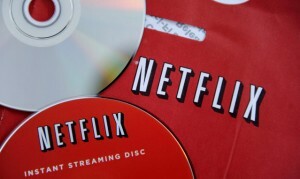 Pachter estimates streaming content deals will cost Netflix $2.5 billion in 2013, up from $300 million in 2010. Recent multi-year agreements with Disney and Warner Brothers alone could cost an estimated $320 million in addition to the cost of original programming like House of Cards and Arrested Development. Margins will likely further contract as new deep-pocket rivals entering the marketplace. Coinstar, Inc. (NASDAQ:CSTR) partnered with Verizon Communications Inc. (NYSE:VZ) to launch its own streaming service in March. The same week the company announced it would issue $350 million in new debt. Investors think this can only mean one thing: Coinstar, Inc. (NASDAQ:CSTR) is building its war chest to challenge Netflix. Analysts expect the company will spend heavily to secure streaming rights from Time Warner Inc. (NYSE:TWX) and Epix. More concerning is the 400-pound gorilla of eCommerce: Amazon.com, Inc. (NASDAQ:AMZN) . Barclays estimates Amazon will spend $1 billion expanding its video library driving up content costs. The company is also undercutting Netflix, Inc. (NASDAQ:NFLX) prices as a Amazon.com, Inc. (NASDAQ:AMZN) Prime membership is $15 cheaper than a Netflix subscription annually. CEO Jeff Bezos has no problem sacrificing short-term profitability for long-term gains. That may be acceptable for Amazon shareholders. Streaming video only accounts for a tiny faction company’s total revenue. But having a non-profit for a rival spells disaster for Netflix, Inc. (NASDAQ:NFLX). Bulls often argue that Netflix is well positioned for massive growth internationally. Last quarter, the company grew international streaming revenues by over 227% to $142 million and the company is looking to expand into new markets including China, Japan, and India. But bears caution that while top line growth is impressive, the company lost $76.9 million internationally during the first quarter. Content costs increased 80% to $165 million. The company is paying outrageous prices for programming internationally and isn’t gaining much traction. The faster the company grows, the faster losses pile up.